•	Better chance of traveling the cabin- For example, if your pet is a smaller breed (under 18” in length) whose average weight should be around 11 to 15 pounds they will be able to travel in the cabin area of a plane. However, if a pet from the same breed is obese and weighs 20+ pounds that pet will not make the weight requirement for in cabin travel. This especially pertains to international travel. •	Better chance of less breathing problems- Most dogs pant to regulate body temperature (since they don’t have sweat glands). When a dog is overweight regulating body temperature becomes difficult and heavy panting occurs. Heavy panting causes stress and anxiety and could lead to heat stroke. •	Better chance of fewer problems with other health related issues- Diabetes, joint damage, increased blood pressure, skin and hair coat issues, digestive issues, etc. are all common problems that affect obese pets. •	Better chance your pet will withstand the rigors of traveling and a new environment- A healthy pet will have increased stamina, a better tolerance of weather conditions as well as better breathing capabilities. All of these factors play an important role in pet travel. Here’s the good news: Many vets consider animal obesity to be the most preventable pet health crisis facing the United States. During the feeding process, aim for small amounts of high-protein and low carbohydrate meals. Remember that although a healthy diet is good, exercise is key. 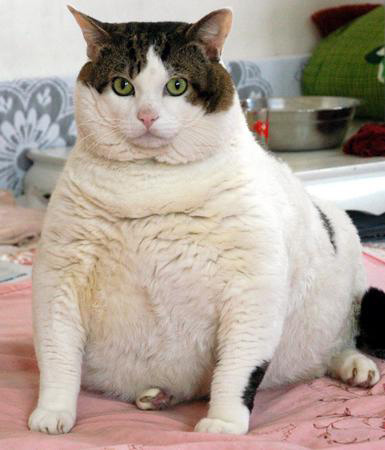 I am surprised to hear that so many pets are considered overweight! I didn’t realize that a dog’s heavy panting could cause it more stress as well. I think it’s important to help your pets become healthier not just for travel, but to relieve stress and discomfort in their daily life.